Anyone can start a fire. But what do you do when that fire is raging out of control? That’s the question at the heart of Channel 4’s new drama, Brexit: The Uncivil War, in which I appear. Or rather, the actor Rory Kinnear plays my part for me. The film is based, in part, on my book, Unleashing Demons, about my role as Director of Politics and Communications at Downing Street under David Cameron during the EU referendum campaign. My job was to help the Prime Minister persuade the public of the merits of staying in the EU — the battle for hearts and minds if you like. My opposite number in the Brexit camp was Dominic Cummings, a little known yet highly controversial figure in Tory circles who had been an adviser to Michael Gove and is played in the TV version by Benedict Cumberbatch. The film is a dramatised version of the clash between us. 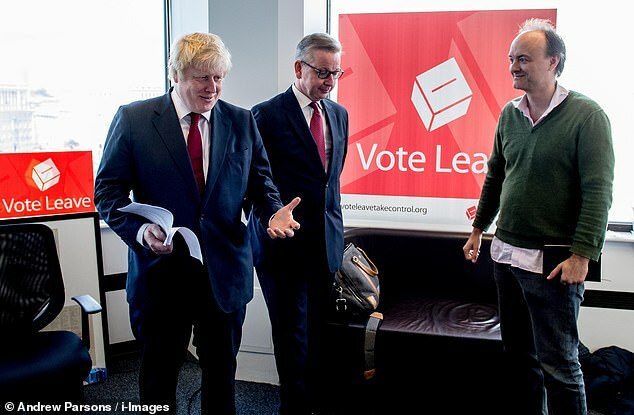 Cummings, a mercurial and intelligent strategist, stoking the fire of Brexit behind the scenes, with Gove, alongside Boris Johnson, as the public face of the official campaign; me, doing all I can to dampen the flames and get people to focus elsewhere. 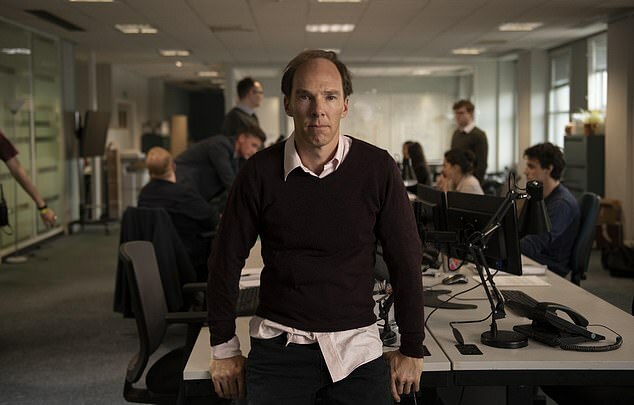 Cumberbatch says he took the Cummings role because of James Graham’s script, but there is no doubt that the master strategist behind Brexit also provides a fascinating character for any actor. Witnessing him in action before the referendum campaign, it was clear Cummings was highly effective at being divisive. It was he who characterised the educational establishment as ‘the blob’ and wound up anyone and everyone with his vicious, mischievous and — of course — anonymous outpourings on Twitter. At that time, he was clearly behind a series of briefings against David Cameron. So much so that he and Michael Gove were invited into Number 10 and asked if there was anything he wanted to get off his chest. Cummings, it turned out, wasn’t so willing to criticise the Prime Minister to his face, and my memory of the meeting was of him meekly praising Cameron. Afterwards we wondered where the reckless rebel of folklore had been. After all, this was someone who reportedly used to sign himself into Whitehall meetings under the name Osama bin Laden. At the time, my view of Cummings was summed up by quoting that scene from Monty Python’s Life Of Brian, ‘He’s not the Messiah, he’s just a naughty boy’. The line was changed in the TV version to, ‘He’s not the Messiah. He’s just a f****** a*****le’. So how accurate was the rest of the drama? 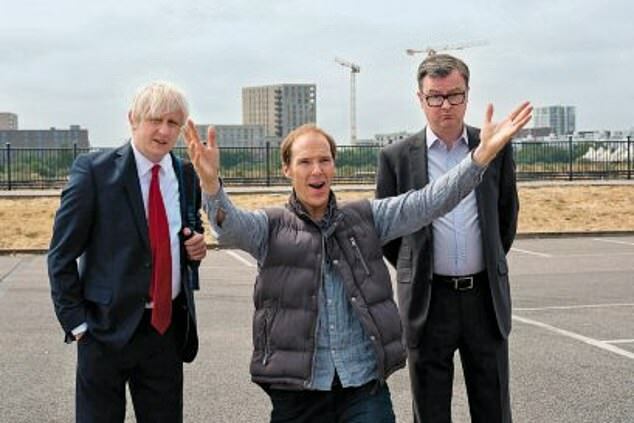 From the moment the film was announced, critics of Brexit were worried that having an international superstar like Benedict Cumberbatch playing Cummings would give the man more credence than he deserved. They feared Cummings would be lionised, rather than held to account. At first, I worried too. Surely a star of Cumberbatch’s calibre would create sympathy for a man who should be confronted with tough questions. And the fact is that, having delivered the Brexit vote, Cummings disappeared in a puff of smoke. After setting the fire going, he steadfastly avoided media interviews — and refused to appear in front of a Parliamentary committee to answer difficult questions about data use and dodgy claims during his campaign. Most of my fears were allayed, however, when I visited the film set and saw that Cumberbatch was almost unrecognisable, having shaved his head to create Cummings’ unmistakably sparse thatch and bald forehead. He has not glamorised Cummings, just sort of inhabited him. The first half of James Graham’s sophisticated and thoughtful script is devoted to exploring Cummings, the Machiavellian guru who can connect with, and prey on, people’s fears. He is shown running rings around the likes of Brexiter Tory MP Bernard Jenkin, whose cack-handed attempt to get Cummings fired from the official Leave campaign blew up in his face. But if the first half of the film pays heed to Cummings’ undoubted intelligence, and can be seen as the case for his defence, the second is the case for the prosecution. At this point, the Remain campaign comes into sharp focus, trying to defend an unsatisfactory status quo and complex realities, from immigration to the European Court of Justice, in the face of simple claims that Utopia is just around the corner, if only we can leave the dastardly EU. It shows how Cummings sets about systematically and carelessly unleashing the demons of David Cameron’s nightmares. 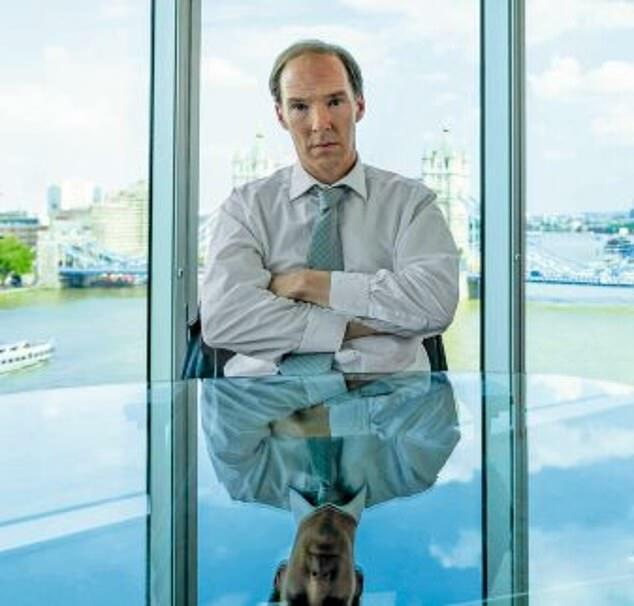 As for the scenes in which I am portrayed, I watched through splayed fingers, groaning as I saw that Rory Kinnear had captured my mannerisms and tics as I tried to have some time with my children while taking a conference call with David Cameron and Peter Mandelson. Kinnear also captured my sense of despair as I watched anti-Brexit campaigner Bob Geldof flicking V signs at Nigel Farage as they barracked each other during their notorious River Thames confrontation at Westminster, when rival pro-Remain and pro-Brexit flotillas clashed. ‘Is this what we’ve come to?’ I asked. The film shows how the murder of the kind, brave and thoughtful Labour MP Jo Cox stopped the campaign short. A moment to reflect about what things are really worth. I suspect how you judge Brexit: The Uncivil War will depend on whether you are Remain, Leave or simply uncertain. It’s extremely well written, acted, directed and produced. If I have one small criticism, it is that the film focuses too much on the exploitation of data as the reason Leave won, suggesting it was simply clinical brilliance that triumphed, rather than the cynical calculation of Cummings and his team, who were too willing to ride in the slipstream of Nigel Farage as he threw out raw, red meat to his supporters with exaggerated and irresponsible claims. It could also have done more to acknowledge that many of the 17.4 million who voted Leave did so out of anger at Brussels’ arrogance and the billions being paid to the EU. The drama is at its best when it shows Dominic Cummings as a master of disruption and destruction, who struggles to make things work long-term. More than two-and-a-half years after the EU referendum, we’re nowhere near the Brexit Utopia he and the Leave campaign promised. At the end of the TV version, Dominic and I meet for a drink. He tells me the hard truth that a new type of politics is coming, ‘One that you can’t control’. I ask him, ‘What’s your edge?’ What has he found to make things any better? He doesn’t have an answer. That meeting never happened. But writer James Graham invents it — legitimately in my view — as a means of summing up the clash of two very different world views: Me – believing the world is complex, muddy and requires compromise; Cummings the absolutist who demands creative destruction. In that make-believe conversation, I make the case for ‘a kinder, gentler politics’ — and my fear that it has been lost. That’s exactly what I feel having been through the madness, bitterness and bloodshed of the referendum and its aftermath. I hope the film will serve as a warning that the political class needs to sober up – and focus more on what unites, than what divides us. Respect is due on both sides. And it is my belief that the only way through the current chaos is for Parliament to find a cross-party common ground that finally allows us to move on. As for me and Dominic, I’m more than happy to make that drink a reality. Talk it over. Make the peace – and help put out that fire once and for all. So how about it, Dominic? The drink’s on me. Brexit: The Uncivil War is on Channel 4 at 9pm on Monday, January 7.